First time in my long life I’ve ever seen one of these – thought it was an immature stage of the common one. Wow! Pingback: Cicada Mania: Australian Cicada Mania! not bloated. 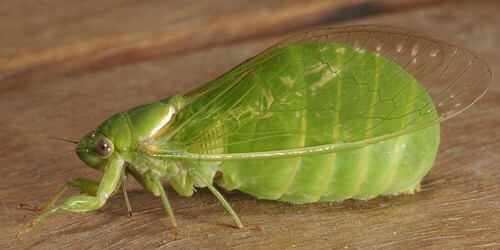 the abdomen is hollow – and used to create a deeper drumming sound than the normal cicada song. This a male- they are all out around Brisbane at present. wow! Is this a female? She seems a bit…bloated.